The hand-delivered invitations went to the unlucky. The Pittsburgh Pirates recently sent letters to their best minor leaguers warning them that from Sept. 14-17, their Instructional League training in Bradenton, Fla., would consist of "intense Navy SEALs drills." Players had come to rue these activities. A number of team officials feared them. And the rest of baseball just laughed. It's not just the Pirates' second consecutive collapse that has made them an industry joke. The methods by which they rear their minor leaguers are perhaps even worse, a combination of hubris and recklessness that has led to injuries and widespread resentment, according to four sources who outlined the problems to Yahoo! Sports. "I knew this stuff was going on," said one source familiar with the Pirates' program, who, like the others, requested anonymity for fear of reprisal. "I didn't like it. Nobody did. They don't know what they're doing." 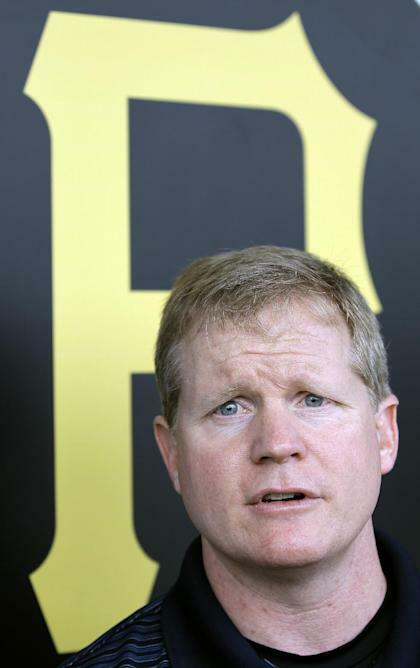 They are general manager Neal Huntington and assistant GM Kyle Stark, who have implemented a training program unlike any other in the industry. From getting blasted with water after 5 a.m. wakeup calls to hand-to-hand combat in which, according to two sources, top prospect Jameson Taillon once suffered a knee injury, the Pirates' insistence on using militaristic exercise has spooked enough players that a number openly complained to minor league staff members this year about the instructional league plans. Pirates brass' mindset is perhaps best represented in a June email sent by Stark and first reported Friday morning by the Pittsburgh Tribune-Review. In it, Stark outlines his keys to developing major league players, highlighted by this line: "Dream and be creative like a Hippie. Have the discipline and perseverance of a Boy Scout. Be crazy and take risks like the Hells Angels." The email went viral around baseball, traded between front-office executives, scouts and other personnel, each of whom was as bemused as the other. Stark continued by saying "the biggest impact we can have in the second half is developing more Hells Angels" and listed the qualities of the biker gang he most appreciated: "swagger," "reckless abandon" and "bound by brotherhood." The major league Pirates could use some swagger after turning a 48-37 first-half record into a 74-75 mark that has them barreling toward their 20th consecutive losing season. And recklessness: Well, between Taillon's injury – which, the sources said, turned out not to be serious but nonetheless underscored the danger in having baseball players throw punches and kicks at each other – and the nausea the SEAL activities induce in Pirates prospects, the front office seems to have that covered. And if anyone has been bound, it's the majority of the Pirates organization – against Huntington and Stark. "[Stark] thinks he is pushing the envelope," another source said, "when he is really over the edge." The activities that took place this year in Bradenton – which included running along the beach carrying telephone poles and flipping truck tires in the outfield, according to the Tribune-Review report – were Stark's brainchild and blessed by Huntington, who hired him with minimal baseball experience. While that is far from a prerequisite – current Houston GM Jeff Luhnow joined the St. Louis Cardinals from the corporate world – Stark's inability to effectively develop talent despite the Pirates' industry-leading spending in the draft is a black mark. Stark ended the email with a war cry: "HOKA HEY - It's a good day to die!!!" On the Pirates' player-development website, piratespd.com, it describes "Hoka Hey" as "The War Cry Of Clutch Performers" and says "Hoka Hey dog tags available to any interested staff." The staff is not interested. The players are not interested. They're just hoping the Hoka Hey dog tags serve as mementos of an era that has worn out its welcome. • Video: Can Michigan upset Notre Dame?